Goodness and purity ought never to attract attention to themselves, they ought simply to be magnets to draw to Jesus Christ. If my holiness is not drawing towards Him, it is not holiness of the right order, but an influence that will awaken inordinate affection and lead souls away into side-eddies. A beautiful saint may be a hindrance if he does not present Jesus Christ but only what Christ has done for him. He will leave the impression - "What a fine character that man is!" 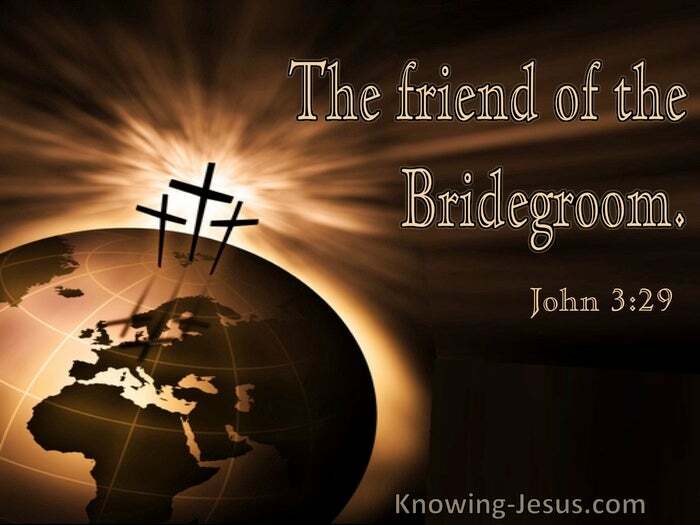 That is not being a true friend of the Bridegroom; I am increasing all the time, and He is not. 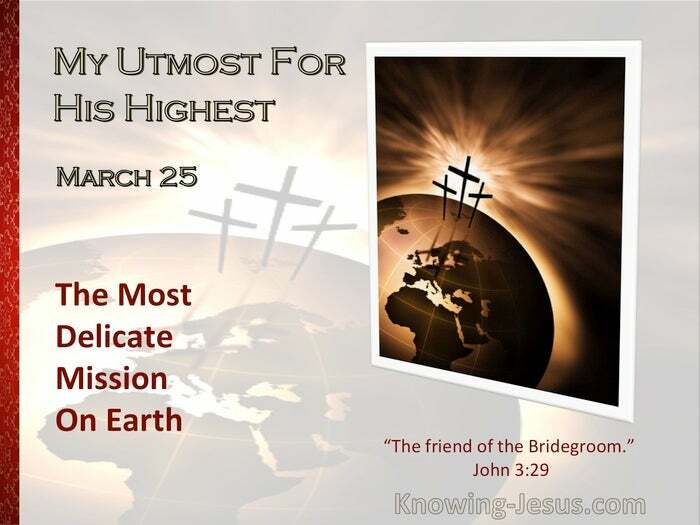 In order to maintain this friendship and loyalty to the Bridegroom, we have to be more careful of our moral and vital relationship to Him than of any other thing, even of obedience. Sometimes there is nothing to obey, the only thing to do is to maintain a vital connection with Jesus Christ, and to see that nothing interferes with that. Only occasionally do we have to obey. When a crisis arises we have to find out what God's will is, but the greater part of the life is not conscious obedience but the maintenance of this relationship - the friend of the Bridegroom. Christian work may be a means of evading the soul's concentration on Jesus Christ. Instead of being friends of the Bridegroom, we may become amateur providences, and may work against Him whilst we use His weapons.